That’s your keyword to enter Nicaragua and enjoy its beauty and its culture. This typical Nicaraguan slang could be translated in English by “fu**ing awesome!”. Imagine the biggest country of Central America populated by not even 7 million inhabitants, surrounded by two enormous oceans: the Atlantic in the east with the wonderful Caribbean sea and the Pacific in the west with incredible surf beaches and amazing sunsets. On the top of being between two very big strips on both oceans, Nicaragua has on its lands one amongst the biggest lakes of fresh water in the world and the biggest in Central America. The Central America volcanic arc passes right in the west of Nicaragua, giving the country a series of volcanoes ; many of them still active. The combination of sea, lake, volcanoes and tropical climate makes the country a real paradise to visit or to live at. The tourism is developing faster and faster in Nicaragua now and the economic situation is improving all over the country. The cost of life is very affordable (lot cheaper than Costa Rica for example), but poverty, education and health problems will be a challenging problem for the future of the country. With Carolina, the famous German psychologist, we spent more than 2 months in Nicaragua and we did excellent and reliable contacts in some amazing places. We can suggest you an itinerary for an immersion into Nicaraguan culture with not very known wonderful places to visit. Sometimes, it’s cheaper to land in Costa Rica when you arrive from Canada or the US. There is even an International airport at the north of Costa Rica in Liberia. 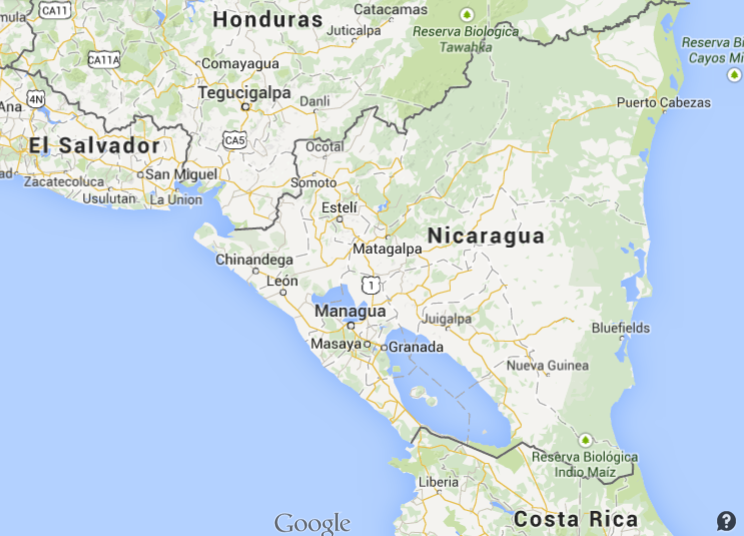 That’s your closest place to cross the borders to Nicaragua. See our article about crossing the borders from Costa Rica. 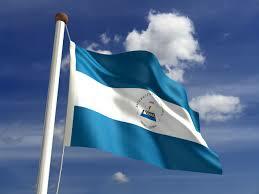 But if you land in Managua, I have two big friends that live there. Even if Managua is the capital and there is nothing touristic about it, and even if the local people themselves say it’s ugly and boring, it’s worth it to spend your first night at least in Managua with local people, to have an insight into the real life of the Nicaraguan capital. You best option for that case would be to contact our friends Freddy and Melani (you have their Facebook on the links). The city of San Juan del Sur is a real paradise (see our article about San Juan del Sur here). The quantity of virgin amazing beaches is incredible. All the coast around San Juan del Sur, north and south is almost empty; there are only beaches indefinite and of all kinds: sand, rocks, surf. Seafood and fish are the cheapest food to buy after rice and beans: the “gallo pinto” is the national meal for sure. My best Nicaraguan friend lives in San Juan del Sur and he rents rooms in a very good location. His name is Ruddy, he is local and knows alsmost everybody. He’s very reliable and kind. You can contact him either by the Facebook of his daughter Sonia or by person on-site (Facebook of Sonia.). Price indicator: 150 – 200 US$ / month with bathroom, kitchen and Internet. Or around 10 – 15 US$ a night. To go there: You have to transit by Rivas from Managua. Buses are very frequent and cheap. Ruddy and me on a virgin beach close to San Juan del Sur. Ometepe is an amazing island formed by two volcanoes. Mérida is a village on the island and we highly recommend this place. The village it is totally different from what you’d have seen in San Juan del Sur or any other places. I have very good contacts in Mérida, and you can see all the details on our article about “Life in Mérida“. Lodging in Mérida: El Caballito del Mar. 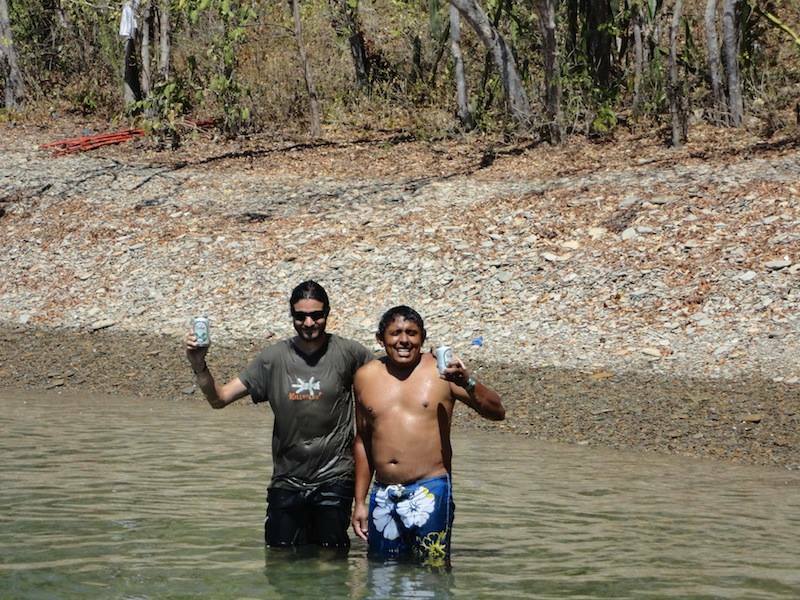 Your best contact guide in Nicaragua: Silvio (Facebook). He is a Quebecer and speaks French, English and Spanish, and can help you with travel tips and contacts for lodging, transport, ideas and support on the ground and even from and to the airport. Google Flights to see the cheapest dates and flights (know more about it). Don’t hesitate to contact me for any help I can offer.